Like when playing any sport, the quality of your gear and protective equipment can be key in determining your success. 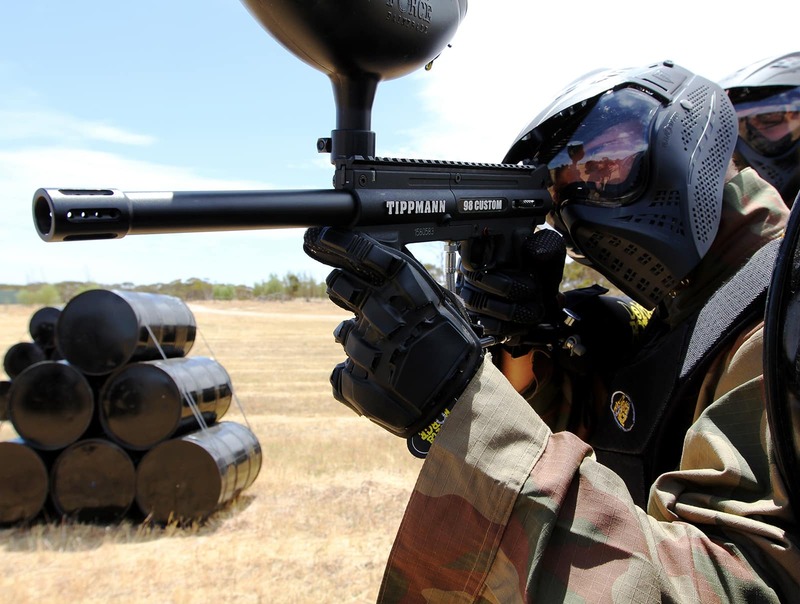 During a full day of paintball at Delta Force Paintball, all players are equipped with the latest paintball gear that protects you top-to-toe. As a five star member of the UKPBA – the governing body of the sport in the UK – we only provide the highest quality equipment ensuring player safety and equipment reliability to ensure an enjoyable day out for players aged 8+ years. Our paintball goggles cover the entire head, providing 360-degree protection against any stray headshots. Used in conjunction with our full-length combat suit and padded collar, you can also eliminate any nasty shots to the neck. Not all paintball providers supply players with this level of protection so be sure to do research before booking your paintballing experience. In addition to our full-length combat suit, we supply free padded body armour for every player when you book direct with Delta Force Paintball. Our custom-made vest provides players with an additional layer of protection when facing enemy fire. Our body armour is made up of multiple plates that allow free movement when in the heat of the battle. Our US-Spec paintball guns are top-of-the-range and allows for the ultimate firepower. These semi-automatic weapons are lightweight and easy to manoeuvre. We also provide the option to upgrade to a replica M16 paintball gun allowing players to increase their rate of fire with deadly accuracy. For those wanting the ultimate Rambo experience, this is your go to weapon of choice to use in our themed paintball game zones. To make sure that no one is caught short in a vital moment, battle packs can be used to hold additional ammunition. They allow for 4 additional refills to be carried with you so you can top up when you need it most.